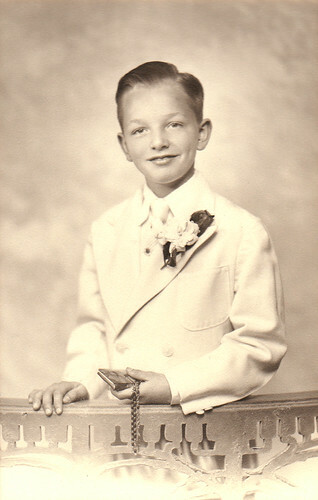 Here’s a photo of my dad as a kid. It was taken June 10, 1945 at Lincoln Studio in Milwaukee, Wisconsin. The studio is long gone. My mom gave me this photo, and I felt like sharing it, so here it is. 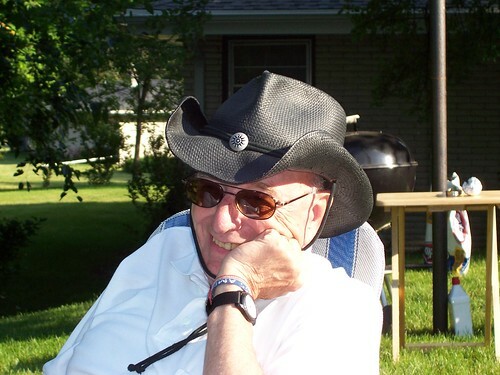 My dad was very involved with the parks department in Greenfield, and after he died in 2007 his contributions and volunteering efforts were recognized, and that pretty cool. 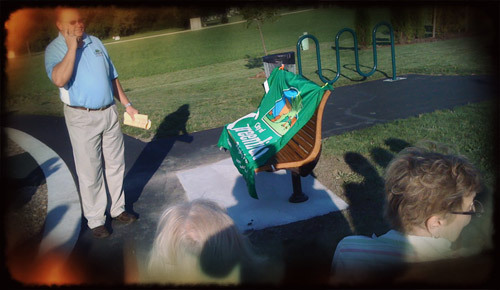 On July 26, 2010 there was an unveiling of the Ron Prodoehl Memorial Bench at Jim Smrz park in Greenfield, Wisconsin, and that too was pretty cool. The park itself is not really viewable on Google Maps yet, but it’s sort of nestled in between Kimberly Avenue and 39th Street. You can take 43rd Street to Mangold Avenue and you’ll find it. The bench appears to be made of wood, but upon closer inspection, it’s actually metal, which is another fact I found pretty cool. If you’re in the area, stop by, take a rest on the bench, and enjoy the view. 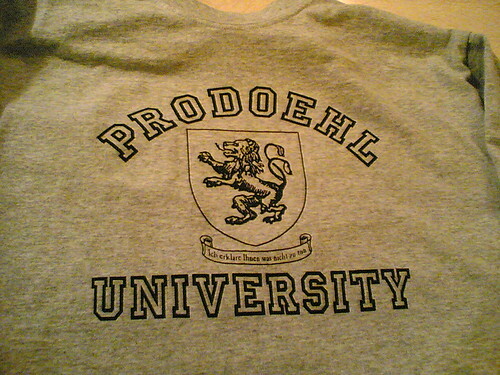 Dana and I designed and printed these shirts for the whole family for Xmas.